ALLEGRA BOVERMAN/Gloucester Daily Times. 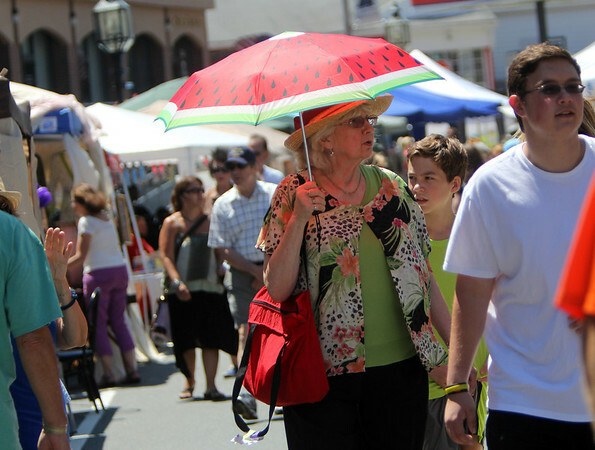 Members of the Murray family of Beverly and Wenham stroll along Main Street during the downtown Sidewalk Bazaar which is going on through Saturday in Gloucester. From left is Mary Lou Murray of Beverly and her grandsons Nicholas Murray, 13 and Matthew Murray, 15. They were also with their sister Lauryn Murray, 13 and mom, Laurie Murray, too.